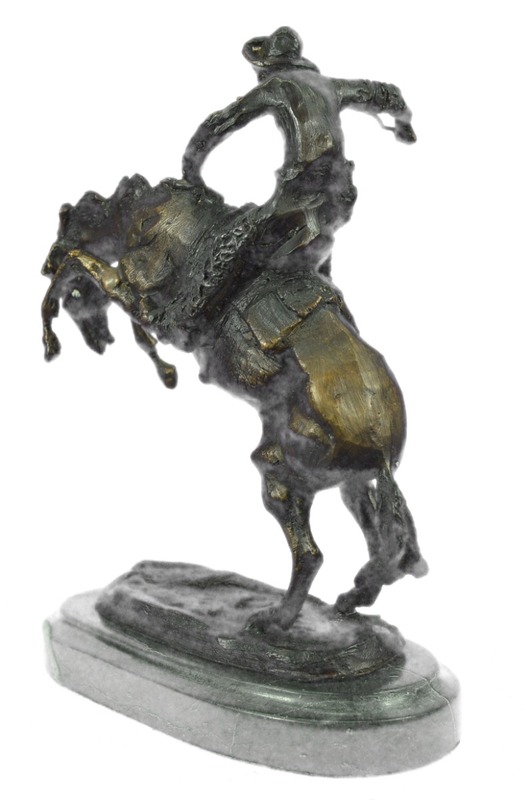 Remington Created Wooly Chaps After Switching His Casting To Roman Bronze Works. 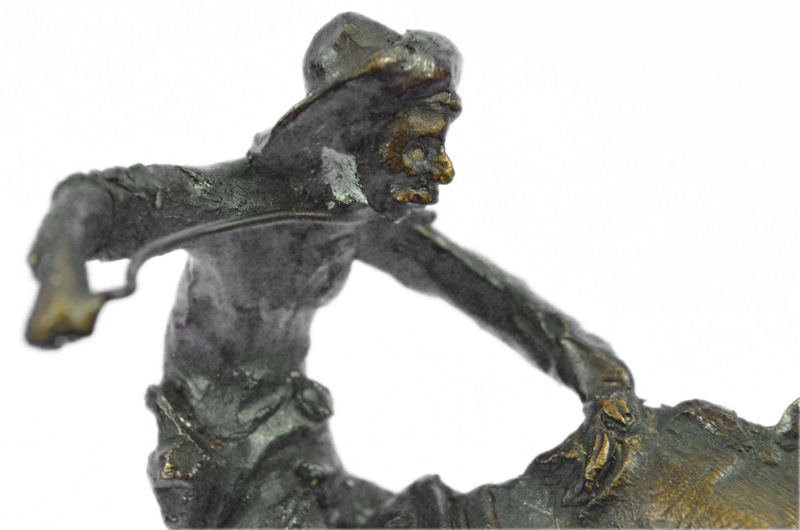 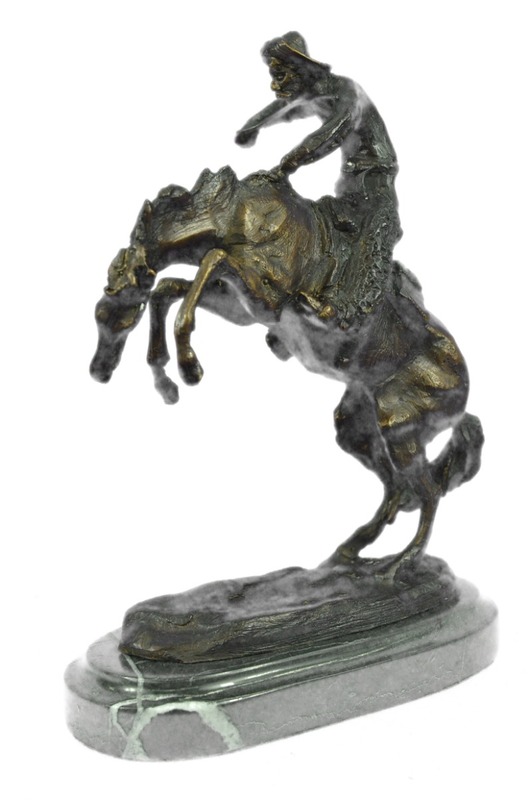 Once Remington Started Using The Lost Wax Casting Process He Realized How Easy It Was To Manipulate Each Individual Wax To His Liking Making Each Casting With Different Characteristics. 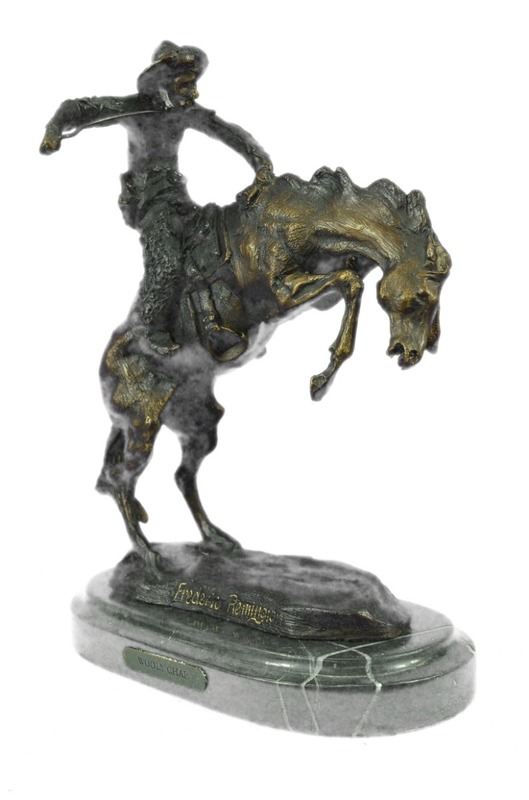 Wooly Chaps Was Created Off Of The Famous Bronze The Bronco Buster. 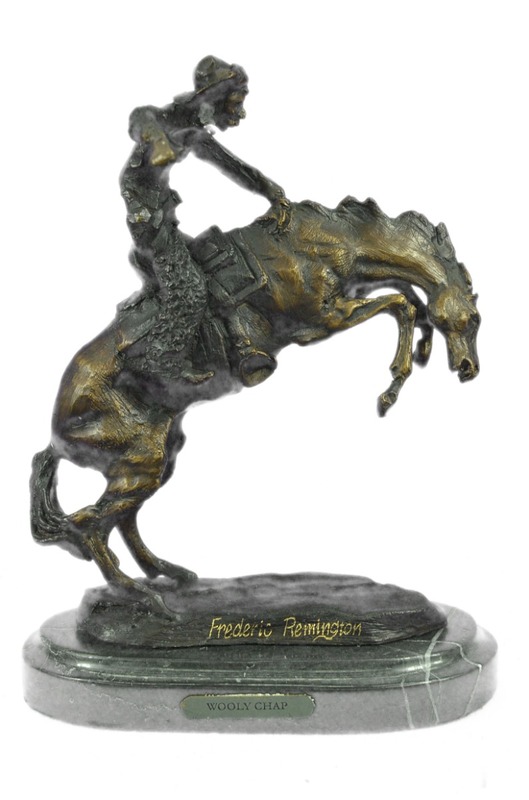 Remington Made A Few Changes He Liked Such As Adding The Wooly Chaps, Changing The Horse’S Tail And Adding More Texture To The Horse’S Body Hair. 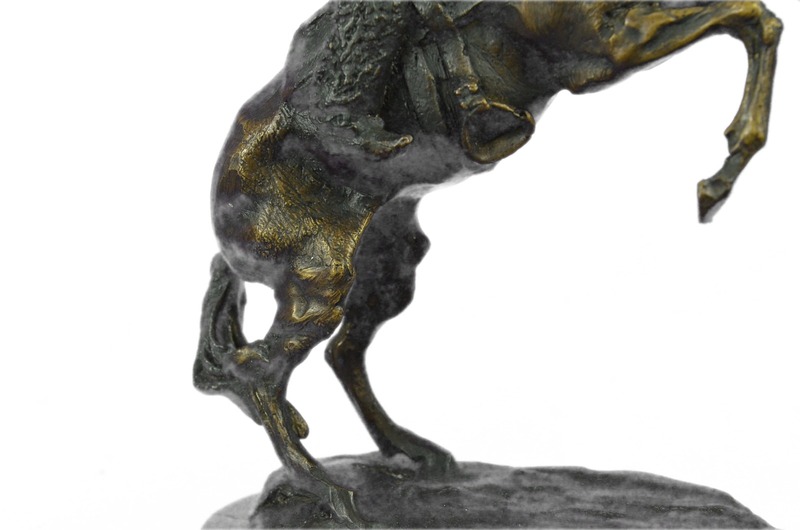 This Sculpture Is Very Appeasing To The Eyes Giving You Dimension, Depth And Captured Movement. 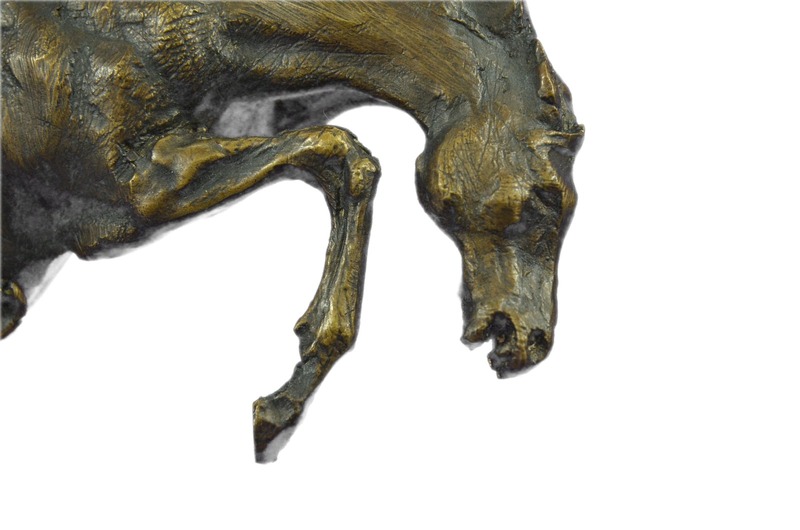 This Sculpture Has So Many Details That Every Time You Look At It You Are Sure To Find Something New. 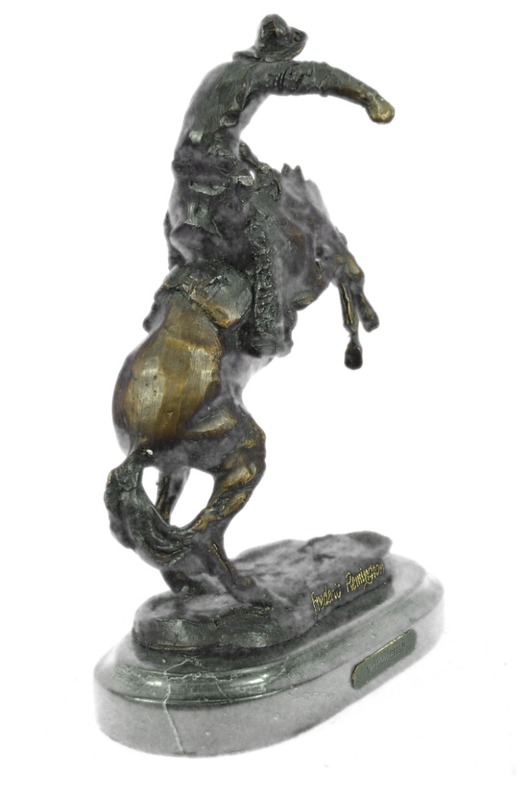 This Sculpture Was Cast Using The “Lost Wax Method” And Has A Gorgeous Two Tone Brown Patina. 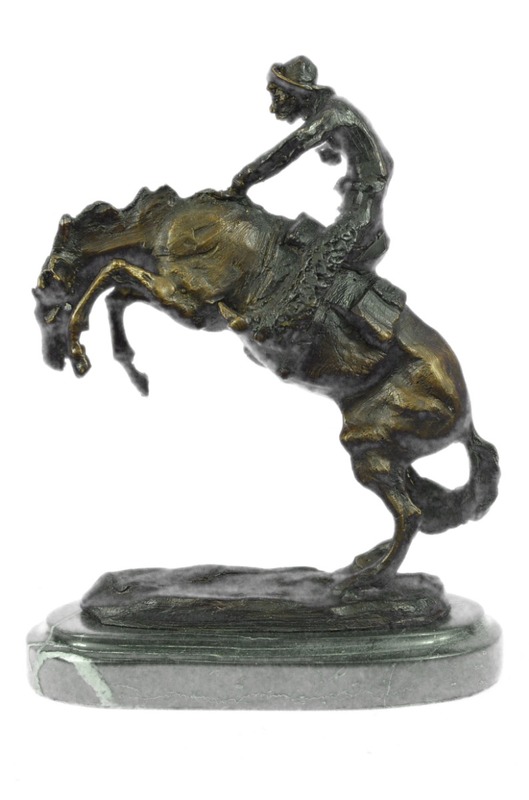 This Sculpture Is Mounted On A Black Marble Base And Is Signed Frederic Remington.